Fractals Direction ST Patterns MT5 is a modification of Bill Williams' Fractals indicator, which allows you to specify any number of bars for finding a fractal. 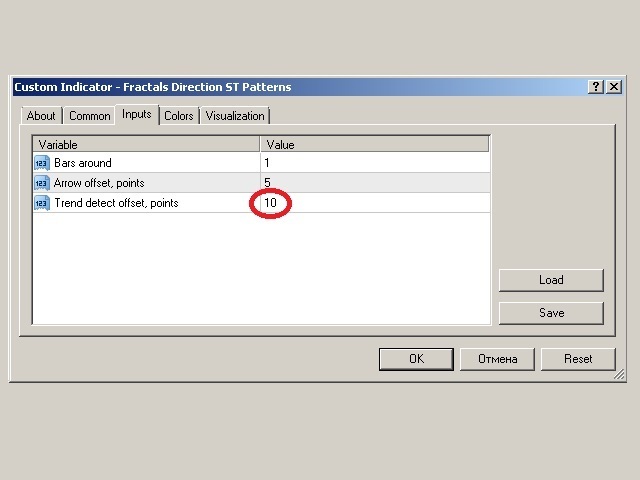 In the settings, it is also possible to set the number of points for determining the trend direction. The upward direction is determined if the last upper fractal is higher than the penultimate upper fractal. The downward direction is determined if the last lower fractal is lower than the penultimate lower fractal. This simple indicator corresponds to the parameters of ST Patterns Strategy. ST Patterns are recognized and built on the basis of the fact of breaking through the fractal levels and the distance to the Target. ST Patterns remove the uncertainty from the market and simplify the work of the trader. Lower fractal - minimum (low) of a signal bar is less or equal to minimums of all bars from the range to the left and to the right. Arrows with a slope are used to indicate the direction of the trend. Bars around - the number of bars before and after the central bar. Arrow offset - offset of the array from the bar's High/Low in points. 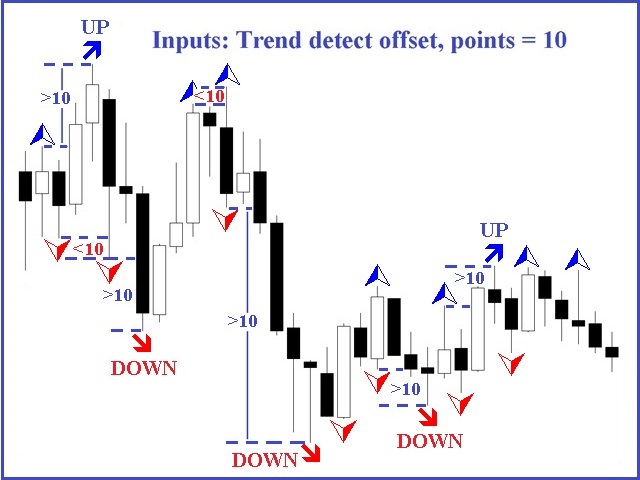 Trend detect offset - the number of points for determining the trend direction. 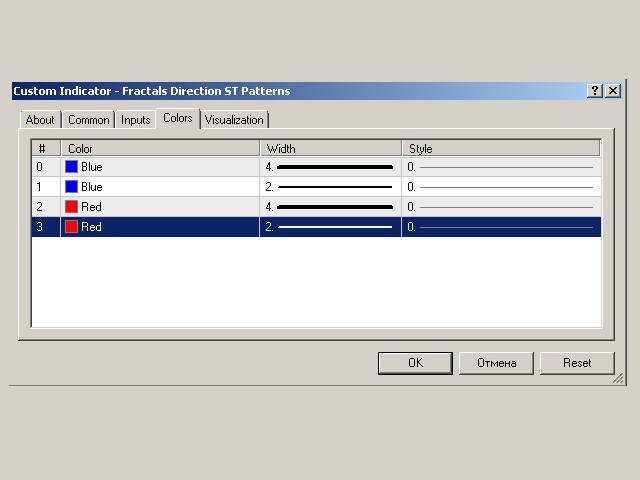 You can set the arrows' color and size separately for upper and lower fractals on Colors tab.